Seamlessly blending the latest European and Japanese furnishings, each Aspect apartment’s styling is sure to excite the senses as well as create the perfect environment for relaxing. 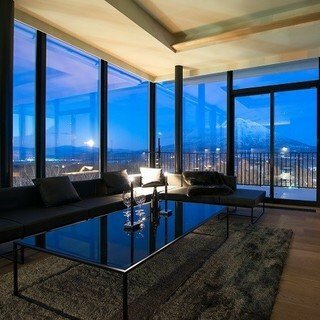 This 186 square meter, 3 bedroom, 3 bathroom apartment utilizes floor to ceiling windows to showcase the stunning views of Mt. Yotei and the Hirafu ski resort. Spacious dining and living areas shape an ideal space to entertain and unwind. "First off, AMAZING VIEW! Walking distance to bars, restaurants, supermarket. Very good service. Shuttle available 8am to 10pm which goes to most places in Hirafu. Concierge helps with so many things, including loading in and unloading equipment to the car. Lovely fireplace. Well equipped kitchen. Highly recommend! :) "
"There are so many other places I could stay and companies who could handle my trip, but 3 times and counting I have stayed at Aspect. I will continue to choose Vacation Niseko because of your impeccable service. I will keep doing so as long as the levels of standards are maintained. It's almost becoming like home. Thank you. " "Aspect is an excellent, very clean and spacious apartment with well-equipped kitchen. We were impressed with the Espresso coffee machine provided for us to make great coffee. It gave us a good start in the morning. It has a superb location, right in the middle of Hirafu Village with beautiful views on the winter scenery of Hirafu & Mt. Yotei. Just a walking distance to restaurants, ski location, tax free & grocery shop nearby. The service were indeed excellent with great customer service and care. 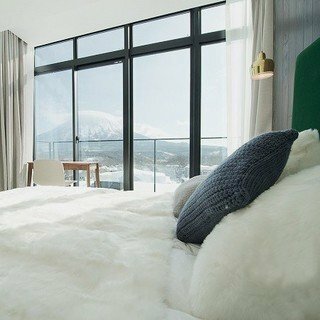 I would have no hesitation in recommending ASPECT to family and friends for their holiday to Niseko." "I stayed in the 3 bedroom Miharashi Premium Room for 12 night in mid-January 2018 with 3 adult children. 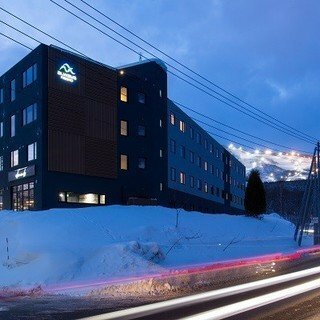 The accommodation is first class with spacious rooms and living areas, well appointed bathrooms for each bedroom, a drying room in the apartment for boots and plenty of places to hang ski gear to dry. The view over the lower village rooftops and to Mt Yotei in the background is really cool! The location worked really well and we could walk to shops and restaurants easily. Getting to and from lifts was a dream with 2 vans available for transfers. A huge shout out to the whole concierge team - your friendliness and attentiveness made the whole experience extra special. WE WILL BE BACK!!" "We are a family with 2 children and 2 teens. We stayed in the 3 bedroom apartment overlooking Mt Yotei. It's the attention to detail that made our stay fuss-free and totally enjoyable. 1. Very well-designed and thoughtfully furnished (every detail thought of) 2. Helpful concierge team (quick to respond & happy to assist) 3. Convenient location (close to many good restaurants) 4. Private transport (pick/send guests to/from ski school, restaurants, grocery shop etc.) It is perfect for families who appreciate a good stay experience and don't mind paying a little premium. 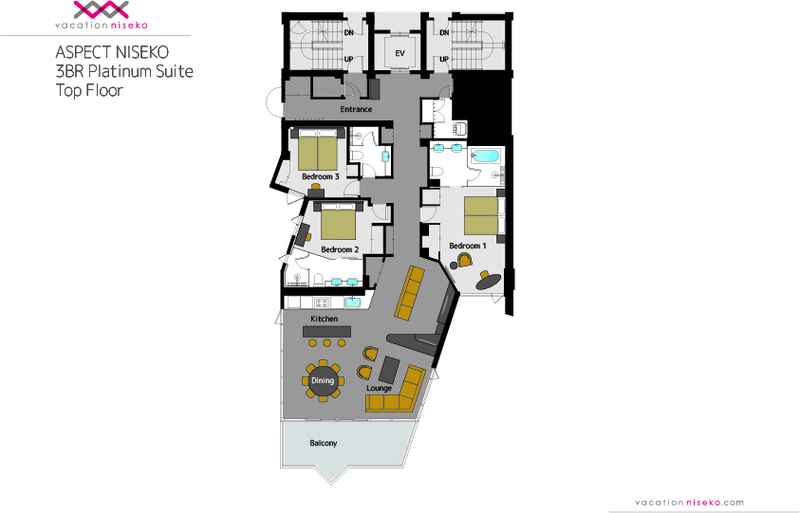 Our children couldn't stop talking about how they missed the apartment and the concierge team." Designed for travelers who would like to enjoy a Niseko adventure at an affordable price without forgoing on comfort.